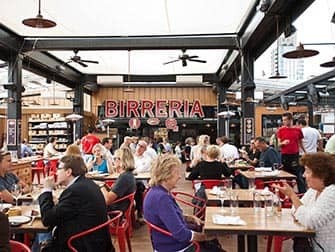 The tour starts at Birreria Brewery in Flatiron District, one of the few breweries located in Manhattan. 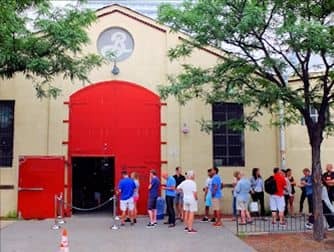 After tasting their home-brewed beer, you’ll continue to the next and most famous stop of the tour: the Brooklyn Brewery in Williamsburg. 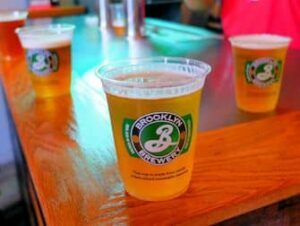 The Brooklyn Brewery’s beers, such as the Brooklyn Lager, are very popular in New York and are rapidly conquering the rest of the world. You can even get them in the UK! These craft beers are a must-taste during this beer tour in New York. The next stop is Spuyten Duyvil, also located in Brooklyn. This is a bar, instead of a brewery and it is acclaimed to be the best beer bar in New York. Here you’ll be offered to taste several craft beers and some delicious meat and cheese snacks. After this beer tasting experience, you’ll head to the last stop. You’ll be happy to know that the transportation between the beer hotspots is included in the price. The last stop is SingleCut Beersmiths in Astoria, Queens, here you’ll have a final beer tasting. At the end of the tour, the guide will take you back to Manhattan. You can choose between several return points.